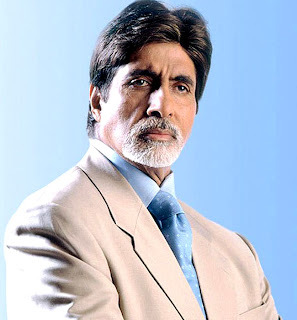 Mumbai, Dec 22 (IANS) Almost three decades after his near fatal injury during the filming of a fight scene for the film "Coolie", Bollywood megastar Amitabh Bachchan Wednesday revealed that actress Smita Patil had a premonition about the accident a day before it took place. "Smita was a unique lady and she had a premonition about my accident," Amitabh told reporters here. "I was shooting for ‘Coolie' in Bangalore in 1982. One night at about 1 a.m. I got a call from Smita. She said, ‘I'm sorry to disturb you Amit-ji, but are you okay?'. I said yes I'm fine. Then she said, ‘I had a really bad dream and I just wanted to find out if you were okay'. Next morning, I had that accident on the sets of ‘Coolie'. It was just unbelievable," Amitabh said. "Then, throughout my two-three months in the hospital, she was a regular visitor and even when I came back home, she used to come every evening to enquire if I was doing well. I can never forget that," he added. The 68-year-old walked down memory lane and remembered the incident while talking about Smita's son Prateik, who will be working with the actor in Prakash Jha's forthcoming film "Aarakshan". Amitabh said that working with Prateik will be an emotional experience for him. "This film is going to be my first association with Prateik. Whenever I see him, I think about his mother. The resemblance, the attitude, is very much like her. I'm afraid that it's going to be a little emotional for me working with him because Smita was a very dear friend," he said. The film, slated to go on floor Jan 15, also stars Saif Ali Khan, Deepika Padukone and Manoj Bajpayee. It is based on caste-based reservations in government jobs and educational institutions. It will be shot in Bhopal and the makers are looking for an Aug 12, 2011 release.